Sleek, stylish and modern, the Varezze oval dining table has a smooth, black bordered glass top that measures 130 cm in length. It's supported by a shiny chrome-effect frame that pulls in the light, while a glass under shelf offers a handy space that allows you to keep the surface of the dining table free from clutter. 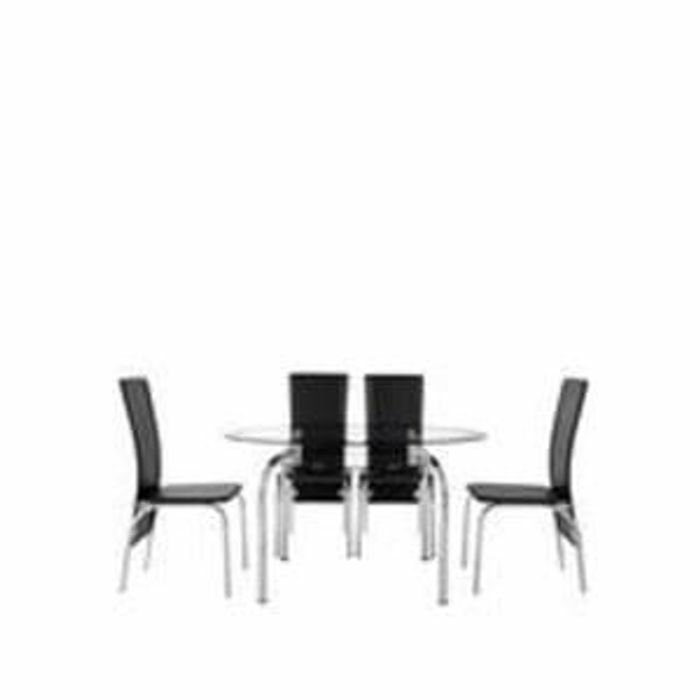 It comes complete with 4 high-backed chairs in a black PU fabric upholstery for wipe-clean ease. Chrome-effect legs complete this dining set's breathtaking design that will reinvent your family meals and add contemporary cool to dinner parties with friends.